I wrote up our experience of the first church we visited. A church greeter volunteer joyfully passed out the morning bulletin. However, our question to her created a chain reaction of clumsy service. Regular training of your volunteers would fix that awkward church hospitality experience. Last week, we visited a second church as a first time visitor. We are new movers to this area, so we are shopping for a church. As a family, we have over 22 years invested in churches were we have lived, so we bring an informed experience to our church shopping experience. Since we don’t know anybody in this town to get a person to invite us church, we have to rely on publicity that a church puts out. That would include newspaper ads, and of course a really good church website. Because we are a bi-lingual family, we wanted to visit a Spanish language church. 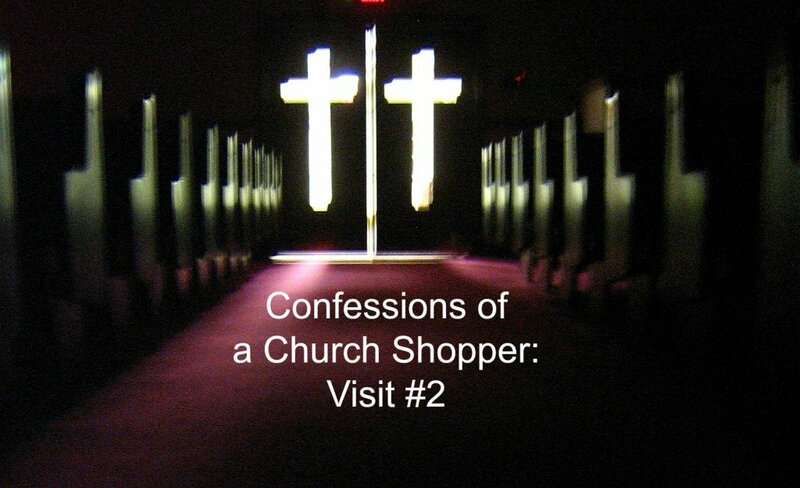 Your visitor may be church shopping and brings a mental list of what they want. Your churched visitor will make comparisons to prior experiences. We started our search with Google, trying to locate a church with Spanish services. We tried search terms in English and in Spanish and didn’t find satisfactory results quickly. Shopping at the local Hispanic market, we found a newspaper that had two full pages of advertisements for churches. Some forgot to state where they were (address), or website, or service times. If we couldn’t find out more information, that ad cost was entirely wasted. If the newspaper ad had a website, we spent the morning looking at church websites. I could talk about all the church website problems I found, but that would be a 6000 word article all by itself. For the church we chose, the church website had service times easily located, as well as the directions on how to get there (for me, these two facts are the most important feature of a church website). Do a SEO review of your church website to make sure it shows up in results. Newspaper ads have a place for churched new movers like us. We made it to the 11am service without much of a problem. Other than finding the right door to get in, we didn’t have much awkwardness to getting to our seat. It’s a small enough fellowship that our presence as first time church visitors was obvious. We were quickly greeted by the founding pastor and his wife before we entered sanctuary. After filling out a visitor card with our contact information, we found our seat. Another church usher checked with us to make sure we had filled out a visitor contact card. Just before the passing of the peace, our names were read out from the visitor card and we were made to stand and we received a round of applause. While this practice didn’t bother me personally, I know that being singled out as a visitor can make your visitor feel awkward and uncomfortable. I don’t recommend it as a practice. Friendliness is measured by the initiative taken by members. Singling out your visits may cause embarrassment, rather than blessing. Every slide used had a bilingual setup. A worship verse in Spanish, with an English equivalent underneath. This lead to very word dense slides. Sometimes the font size got so small that we had to squint to read it. A few times, the English verse would be an entirely different verse from the hymn. The Spanish would be stanza 3, the English was stanza 4. When it came time for the Scripture reading, the passage displayed was entirely in English, but the reader read from a Spanish translation. The slide confusion leads to cognitive dissonance – reading one thing in one language, and hearing it spoken aloud in another. The relational factor overcomes everything. What charmed us about this church was its friendliness. That is the best tool to getting your church visitor to come back. A few people took the initiative to talk with us. We were personally greeted by the founding pastor. We were greeted by a few other people as well. The preaching pastor took some time as we walked out the door to visit with us and tell us a little more. He even went the extra mile and called us on Monday to invite us to a follow up gathering of visitors. That was a neat touch. The relational warmth of genuine people easily overcame logistical issues like size of fonts and filing out a visitor card. The personal phone call from this small church pastor has been the highlight of our church shopping experience so far. I’ve learned from my church shopping experiences than friendliness overcomes any negative impacts on first impressions. I visited a Spanish language church for a season of my life. In spite of all their bad first impressions, I stayed and became part of that church. Read how I became assimilated into their church. Friendliness can overcome any negative impacts on awkward first impressions. This is a one of the proof-tests of your hospitality experience. Would we make a return visit? Yes, this one would be worthy of a return visit simply because of their friendliness. Ultimately, we know already this church wouldn’t fit all our criteria as a church shopper, so it won’t be our permanent home. But it is a church that we could recommend to others who are looking for a bi-lingual experience in a particular denominational tradition. I offer a coaching call where I spend time on the phone with you or your committee, up to 90 minutes, where I help you trouble shoot and develop some action plans. I’ve visited lots of churches as that first time visitor and you can learn from my experiences. Where are you in Florida? We’re in Panama City Beach. This is a good area if you’re interested in this area. Florida is too hot for us so we’re planning to move when we sell. We have a 3 bedroom place if you want to come for a visit. My phone number is 850-774-1072.